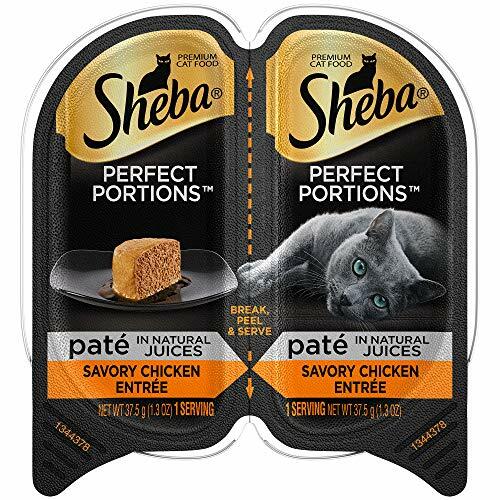 *SUPER RARE* High Value Coupon on Sheba Perfect Portions! Be sure to “clip” the coupon before heading to checkout! Sheba Cat Food Contains Essential Vitamins And Minerals For All Cat Life Stages. This Premium Wet Cat Food Is Formulated With No Corn, Soy Or Wheat. Serve One Portion Now And The Other Later --Two Fresh Meals, Zero Messy Leftovers. Sheba Perfect Portions Wet Cat Food Helps Support Healthy Skin And Coat. It Helps Promotes A Healthy Immune System And Digestion. Sheba Perfect Portions Also Helps To Support Overall Health And Vitality For Your Feline Friend. Our Premium Cat Food Is Made With Real Chicken, So You Know Your Cat Is Getting A Wholesome Feast. Treat Your Feline Friend To A Fresh Meal With Every Peel - No Messy Leftovers - With Sheba Perfect Portions Wet Food For Cats.